The Quarry’s premiere Asian cuisine destination. Come in for a romantic dinner, family outing, or a quick lunch with coworkers – we have it all! We are committed to providing top-notch cuisine at reasonable prices. We use only fresh seafood, meats and vegetables, paired with quality service. 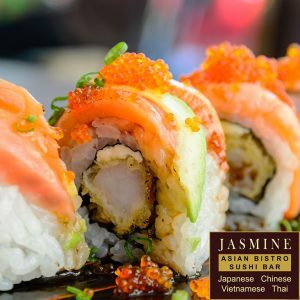 From sushi to noddles, curry and sashimi, we have it covered.